Edward Garrett, Jr. (192) received a Royal land grant in 1770, yet a few years later he was fighting against the King's Redcoats as a member of the Virginia militia. In an oral will made from his death bed on August 25, 1794, Edward made provisions for some family members. Shortly before expiring, he said his son James was "in poor favor" while he didn't mention his son John at all. He was buried in Warrior Creek Cemetery, Laurens, South Carolina. Edward's great-great grandfather John Garrett II (3072) was supposedly a 17th century Quaker whose wife Mary was disinherited by her noble family for marrying him. The grandfather of Edward's wife Ann Bayne West Owsley (193), Thomas Owsley (772), served in the Virginia House of Burgesses between 1692 and 1698. Like the Owsleys, Edward was descended from 16th century nobility who are descended from 14th century royalty, making the Garretts direct descendants of the following people: Charlemagne (311853388), Alfred the Great, William the Conqueror, Eleanor of Aquitaine, Charles the Bald, Godrey the Bearded, Old King Coel, King Duncan of Scotland, King Fernando III, Lady Godiva, Eystein Glumra, Constantine the Great, St. Agatha of Hungary, Hunneric of the Vandals, Archduke Jaroslav I of Kiev, Louis the Stammerer, Henry III, Pippin the Short, Ragnar Sigurdsson, Emperor Valentinian III, and so on. John Garrett (96), son of Edward Garrett and the great-grandfather of Alexander Stephens Garrett, was born in Virginia in 1762. He served as a private in the South Carolina militia during the American Revolution, concluding his life as a farmer in Laurens County, SC in 1844. 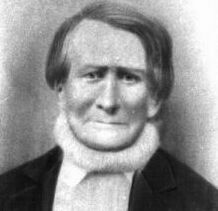 His son Isaac Garrett (48) with wife Elizabeth left South Carolina in 1831 and moved to Campbell County, Georgia on the east bank of the Chattahoochie River. There they gained several hundred acres of land and raised ten children. Isaac was involved in 19 land deals in 20 years in Campbell County, GA, buying and selling hundreds of acres at a time. For example, in March 1842 he sold two hundred acres for $200 -- he had paid $100 for it six days earlier. Isaac, the father of Lemuel Garrett, died in Campbell County in 1867 at age 59, and is buried among the brambles in the Piney Woods Baptist Church Cemetery in Rico, GA, in Fulton County's Riverton District. 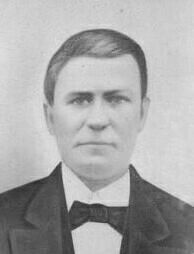 Isaac's brother Hosea was Baylor University's longest-serving chairman of the board in its earliest days. 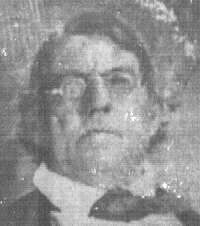 Before the Civil War, Lemuel Garrett (24), James Alpheus Garrett's grandfather, owned a successful farm near Palmetto, Campbell County (now Fulton County), GA. At age 34, with a wife and five sons at home (his youngest, Alexander Stephens, was three months old), he became a Confederate foot soldier. He joined Whitley's Company of Colquit's Brigade (Company E, 35th Regiment) on August 12, 1861 as a 1st corporal. In 1862 he became a private, then a 4th corporal. He fought in the Battle of the Wilderness in Virginia, where in two days of horrible fighting in dense woods, Union troops suffered 18,000 casualties. Many were burned to death in forest fires. Before the Confederates won the battle, Lemuel was taken prisoner on May 6, 1864. He spent five months in a Union prison camp at Elmira, NY, a mass of white barracks with ridged roofs, built close together. At one point 2,000 of the 8,000 prisoners were sick or dying. Lemuel was "paroled" on October 11, 1864 after agreeing not to fight again. Many Confederate prisoners of war defiantly returned to their military units after being paroled, but three years of battle and confinement had taken too much out of Lemuel. He was received for exchange at Venus Point, Savannah, GA on November 11, 1864, and died in a Confederate sanitarium there. He is buried in Savannah's Confederate cemetery. Legend says that a faithful slave hid the family silver in the well to keep it from Yankee raiders. In fact, Gloria Garrett remembers an elderly black man visiting Alexander Stephens Garrett years later, and the two men treated each other like brothers. In 1870 Lemuel's widow Martha Cash (25), the daughter of a prosperous plantation owner named James Cash (50), was living on a $300 estate with her eldest son working as a day laborer, and her 80 year old mother-in-law next door. Dr. Alexander Stephens Garrett (12), born on May 3, 1861, was named after the vice-president of the Confederacy (two older brothers were named after Christopher Columbus and General Lafayette). 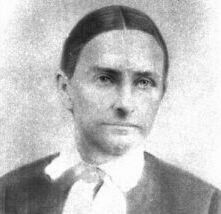 Dr. Garrett's wife, Gabriella Medora Kidd, had also been raised without a father after the Civil War. As a boy, because of Georgia's great poverty and disorder during Reconstruction, Alexander Stephens rarely attended the local Campbell County rural schools because his help was needed on the farm. Only after his marriage at 18 was he able to finish high school in Hapeville, GA and medical school at Atlanta Medical College/Emory College, Atlanta. Graduating in 1890, he became a general practitioner and surgeon. In fact, despite the family's post-war difficulties, not to mention fatherlessness, all five of Lemuel Garrett's sons became "professional men" -- three lawyers and two physicians. 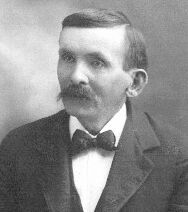 About 1892, after two years of medical practice at home in Palmetto, GA, Dr. Garrett moved to Santo, Palo Pinto County,TX at the invitation of Gabriella Medora's uncle, James Alpheus "Captain" Kidd, a wealthy owner of mercantile stores. 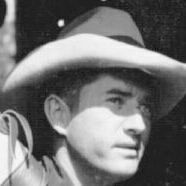 Two years later the family relocated to Palo Pinto, the county seat, where James Alpheus Garrett was born during Dr. Garrett's eight years of practice there. 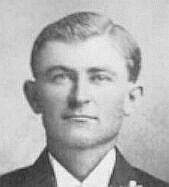 For 15 years he worked in Springtown, Parker County, before settling in Weatherford, TX, the county seat in 1917. He also served as city and county health officer for Parker County. He not only made house calls at night, he would sometimes spend the night if necessary. Many times patients would pay their bills with a bushel of potatoes or with laundry service. He once got into legal trouble for writing too many prescriptions, out of kindness. 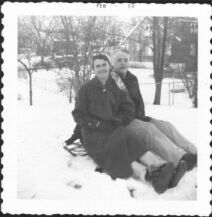 Dr. Garrett became a Baptist Sunday School superintendent at age 20 and was ordained to the ministry a decade or so later. He was removed from the Baptist church in Springtown for taking communion at other churches while studying their practices. Late in life, a Mason and an Odd Fellow, he told an interviewer that he was religiously liberal; in particular, non-sectarian. He organized and taught a non-sectarian Sunday School in Weatherford, TX where he lived, and supposedly was a member of the Community Church of Park Ridge, IL, even though he never lived there. As a physician, he would say, "The people are getting wiser, but they're getting weaker." A strong-minded man who could have a violent temper, Dr. Garrett spoke and published biting pamphlets against tobacco and alcohol. Like his son James Alpheus, who resembled him in many ways, he was a constant writer of letters to the editor. Like many doctors, he was good at giving orders. When he met Gloria Ashorn, he told his son James, "Looks like you found a good wife. She'll make a man out of you." In 1912 he ran for Congress on the Prohibition ticket, but lost the election as he expected, having made only two speeches. He was a health enthusiast, eating oatmeal each morning and using unrefined flours. He also enjoyed sorghum molasses and sweet potatoes. At one point he wanted his wife to bake him a fruit pie every day. In spite of his rigorous diet, by which he hoped to live to 100, he died before age 76 of diabetic complications. While he had become rather agnostic, in the words of his granddaughter, in his final years "he got scared". He is buried in Springtown, TX. 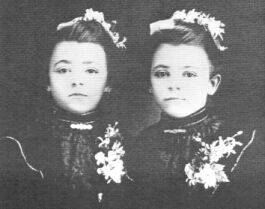 Gabriella Medora Kidd (13) was born in 1861 in Palmetto, GA and was named after her grandmother Short, while her favorite sister Sarah Elizabeth "Betty" Kidd was named after her great-grandmother (who, just to complicate things, was a Garrett). She was sometimes called Medora. 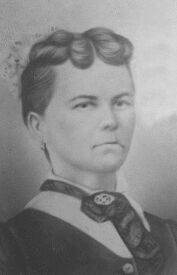 The Civil War changed her life forever, and her father James Harvey Kidd never returned from it. One day in 1865, Gabriella stood in her little white apron, watching Gen. Sherman's "march to the sea" on their way to burn Atlanta, cradling a favorite lamb in her arms. Seeing her, the Union soldiers were going to seize her pet for lunch, but four-year old Gabriella cried out, "Don't take my little lamb!" They offered to pay for it but the little girl remained unpersuaded. The soldiers filled her apron pockets with Confederate money, but when they moved on, she still had her lamb. Both Gabriella and her husband Alexander Stephens Garrett were 18 when they married, and she must have helped put him through school. Gloria Ashorn Garrett says she was a "Campbellite Methodist". 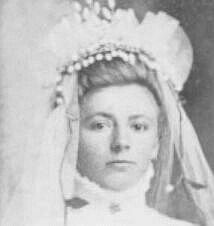 Gabriella had a good Irish sense of humor and loved to read, though she was not always a practical housekeeper. A daughter-in-law said that even in the summer time, Gabriella still hadn't cleaned the ashes out of the fireplace. Sometimes (horrors!) she would have to send her children to the grocery store before she could fix lunch. Needless to say, her spontaneity often clashed with her husband's compulsiveness. Once he buried the coffee pot to keep her from drinking the stuff. She didn't like seeing animals killed, such as a skunk or an opossum on the side of the road. After Dr. Garrett's death, Gabriella moved in with her eldest son Herbert, a successful Ft. Worth attorney. Raised poor, she probably thought her son's family was extravagant -- she once dismissed their cook while her daughter-in-law was gone, saying they didn't really need her. She wouldn't talk about her father's family. She died of stomach cancer in 1939. 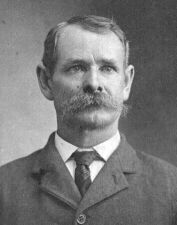 Her youngest son was James Alpheus Garrett.